is an associate professor of electrical engineering and computer science at the Massachusetts Institute of Technology, affiliated with the Computer Science and Artificial Intelligence Laboratory. He is the author of Quantum Computing since Democritus (2013). In one sense, there’s less mystery in mathematics than there is in any other human endeavour. 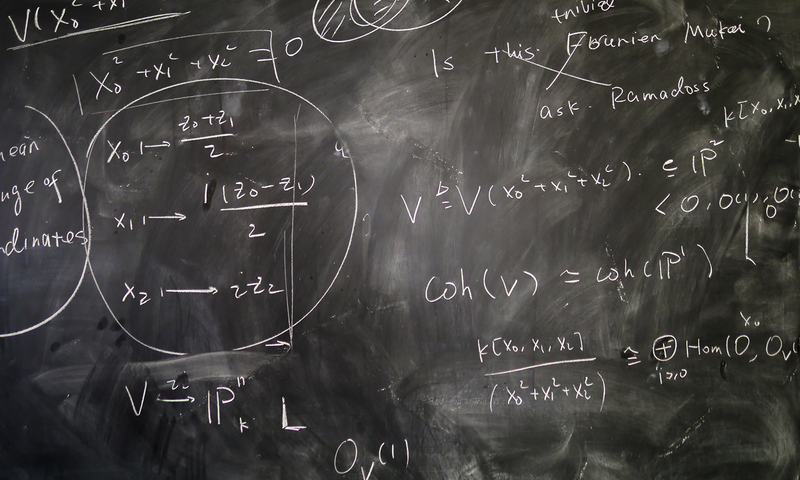 In math, we can really understand things, in a deeper way than we ever understand anything else. (When I was younger, I used to reassure myself during suspense movies by silently reciting the proof of some theorem: here, at least, was a certainty that the movie couldn’t touch.) So how is it that many people, notably including mathematicians, feel that there’s something ‘mysterious’ about this least mysterious of subjects? What do they mean? There are certainly mysteries that exist within math. For starters, there are the thousands of unsolved problems, assertions that no one can prove or disprove, sometimes despite decades or centuries of effort. Although many of these problems are deep and important, a small example will do for now: no one has proved that, as you go further out in the decimal digits of π=3.141592653589…, the digits 0 through 9 occur with equal frequency. Yet, for reasons that apply to many other unsolved mathematical problems, it’s debatable whether to call this a ‘mystery’. What would really be mysterious, one wants to say, would be if the digits didn’t occur with equal frequency! The whole challenge is to give airtight proof that what does happen is what anyone with common sense, after thinking the matter over for a bit, would conclude almost certainly must happen. As Jordan Ellenberg, a mathematician at the University of Wisconsin, wrote, a dirty secret in mathematics is that many unsolved problems have a similar flavour: they’re less about mysterious coincidences than about the lack of them. Take, for example, the Twin Primes Conjecture, which holds that there are infinitely many pairs of prime numbers separated by 2 (such as 3 and 5, or 11 and 13). Ellenberg explains that, for this conjecture to be true, there doesn’t need to be any mysterious ‘force’ pulling primes together; there just needs not to be a mysterious force pushing them apart. Or take the Riemann Hypothesis, which states that the infinitely many non-trivial roots of a certain complex function all lie on a single line. When it’s stated that way, the hypothesis does sound like a mystery. Why should infinitely many numbers all happen to line up like that? The mystery lessens once you realise that each zero of this function encodes global information about the distribution of prime numbers – and a single zero off the line would represent infinitely many prime numbers clumping together in astronomically improbable-seeming ways. So, if you like, one mysterious pattern has to be there to prevent a second pattern that would be even more mysterious. Granted, not all mathematical mysteries have the character of rigorously proving what common sense would predict. In 1978, John McKay of Concordia University in Montreal noticed that the number 196,883 showed up in two completely unrelated-seeming parts of math. Surely it was just a coincidence? In 1998, Richard Borcherds – now at the University of California, Berkeley – won the Fields Medal largely for proving that, no, it wasn’t (following an inspired guess by the British mathematicians John Conway and Simon Norton, which they called the ‘monstrous moonshine’ conjecture). Math, you might say, is a conspiracy theorist’s dream: it’s the one part of life where, when you see things match up, the odds are excellent that it’s not just a coincidence, that there is a deep explanation waiting to be unearthed. On the other hand, precisely because the entire subject is shot through with non-coincidental patterns, once you’ve spent enough time doing math, you might stop being so surprised by them. You might come to see them as just part of the terrain. So maybe the right question is: after a mathematical pattern has been explained – not only proved but, let’s say, proved in 20 different ways, really exhaustively understood, like the Pythagorean Theorem – is there still a residual mystery about it? I would say that there is, but it takes some effort to put our finger on it. Two years ago, the Czech string theorist and notorious conservative blogger Luboš Motl accused theoretical computer scientists such as me of believing the ‘P≠NP’ conjecture – a central unproved hypothesis about the limits of efficient computation – as a matter of groupthink and ideology, of having no rational grounds for our prejudice. By itself, that accusation isn’t so remarkable; Motl certainly isn’t alone in his opinion. But he went further. Although he conceded that, in continuous math close to physics, there can be reasons why statements are true, Motl claimed that as you get further away from physics, math becomes just a disorganised mess of propositions. There are statements that happen to have been proved and that we can therefore agree are true, as we might agree with our accountant that 532+193=725. But if a statement hasn’t yet been proved or disproved then, in Motl’s view, there’s no way even to guess, better than chance, which way it will turn out. There are no valid analogies to any previously proven statements, no broad patterns, just one damn lemma after another. To put it mildly, this hasn’t been my experience, or the experience of anyone else I know who works in any part of math. Yes, sometimes people are surprised; surprises are part of the thrill of what we do. But the surprises are surprises only because of their rarity, because of all the other times when things worked out pretty much the way the experts expected them to. And yet the rarity of surprises is itself a surprise, a genuine mystery. A priori, math could have been like Motl said it was, with the statements we care about lacking any humanly comprehensible reasons for being true or false. By and large, though, it isn’t that way. Why? We can put the point even more sharply. The Austrian-born mathematician Kurt Gödel taught that, given any mathematical question that hasn’t been answered yet (except for questions that boil down to a finite calculation, such as whether White has a winning move in a chess game), it’s possible that the answer is unprovable from the usual axioms of mathematics. And yet, 85 years after Gödel uncovered this gremlin at the centre of mathematics, the fact is that it’s remained mostly dormant. Gödel’s Incompleteness Theorem rears its head only in specialised situations: for questions about axiom systems that you would run into only if you were looking for unprovable truths; or questions in transfinite set theory that one could argue never needed to have definite answers anyway; or questions that ask whether a particular string of 0s and 1s is pattern-less (but which, for that very reason, have no general interest, unless we care for some reason about this pattern-less string); or questions that involve super-rapidly growing functions. It didn’t need to be that way (or, maybe it did, but it’s not obvious why). A priori, Fermat’s Last Theorem, the Poincaré Conjecture, and pretty much every other statement of mathematical interest could have been neither provable nor disprovable: if true, then totally disconnected from all the other interesting truths, an island unto itself, with the only question (a question of taste!) being whether we should add it on as a new axiom. But it didn’t turn out like that. Instead of millions of islands, mathematicians discovered a supercontinent, with just a few islands here and there off the coast – and many of the islands, when explored further, ended up being connected to the mainland after all. So again: why? One possible answer is a selection effect. Sure, there are plenty of pattern-less parts of math, but for precisely that reason, those parts aren’t interesting to humans. The parts that we teach students, put in textbooks, pontificate about in essays such as this one, etc, are the parts that ended up being interconnected and elegant. Likewise, no one wonders why the subjects of biopics so often turn out to have lived riveting lives; if they didn’t, there wouldn’t be biopics about them. This strikes me as clearly part of the answer. But it can’t be the whole answer, because it doesn’t account for something all mathematicians have experienced: namely, the frequency with which there turn out to be striking patterns and connections between seemingly unrelated concepts, even when no one had thought to expect them beforehand, even when no one had charted out the territory and assured the latecomers that such patterns were there to be found. A second possible answer is that even the parts of math that look far removed from physics are indirectly inspired by our experience with the physical world – and that they are coherent because the physical world is. This answer would push the mystery of math’s comprehensibility and elegance back to a different kind of mystery, what the Hungarian-born mathematician Eugene Wigner called the ‘unreasonable effectiveness’ of math in the physical sciences. A third sort of answer might focus on the peculiarities of the human brain, on its ability (which begs yet another ‘why?’) to zero in on mathematical questions that will turn out to be answerable and concepts that will turn out to be interestingly interrelated, even when the brain has no idea that it’s doing so. I don’t know which of these answers is closest to the truth, or whether it’s something else entirely. Still, I feel confident in saying that, yes, there is something mysterious about math – but the main thing that’s mysterious is why there isn’t even more mystery than there is.